Panasonic has long been known not only for its excellent Micro Four Thirds cameras, but also for its tremendous superzooms, often pushing the envelope in terms of optical reach. The FZ70, released last year, pushed the optical zoom barrier all the way to 60x, but image quality fell off dramatically at the telephoto end. Sometimes, pushing the envelope only gets you so far. Sony seemed to see the wisdom there when it introduced the RX10, a camera it billed as the ultimate all-in-one solution for premium buyers. While the RX10's 8x zoom and constant f/2.8 aperture made it more of a bridge camera than a superzoom, its best feature was undoubtedly the huge 1-inch sensor. Though the RX10's extreme $1,300 price tag makes it tough to recommend to everyone, it's clear that going with less zoom for a larger sensor provides excellent performance. When Panasonic brought their new Lumix FZ1000 (MSRP $899.99) by our headquarters last week, we were still hesitant to geek out about it. While its specs are pretty impressive, we kept seeing dollar signs add up as Panasonic listed the features off. Leica-branded optics. A 16x zoom with an f/2.8-4 max aperture. A 1-inch sensor. The electronic viewfinder from the GH4. And it shoots 4K video? It's gotta be really expensive. It's basically a baby GH4. With 16x optical zoom and 25-400 f/2.8-4, the FZ1000 is incredibly flexible. Then, almost like an afterthought, Panasonic dropped the price on us: $899.99, a new low price point for some of Panasonic's best technology. We couldn't wait to run it through our full suite of lab tests to see just what this camera could do. The FZ1000 is very reminiscent of other recent Lumix cameras we've handled, with a control scheme greatly informed by the top-of-the-line Lumix GH4. While this doesn't feature interchangeable lenses like the GH4, Panasonic is hoping that the large 1-inch sensor and ample zoom will mean that shoppers won't care a whit. The combination of advanced handling and user-friendly auto modes should make this easy to handle for beginners, with plenty of customization for advanced shooters to love, too. As soon as we picked up the FZ1000, we were impressed by how well the buttons lined up with our fingers. Though the body and buttons are mostly plastic, nearly every important control is easily within reach. Exceptional care has been paid to varying the sizes and shapes of button, too, with some larger than others to help you differentiate one from the other while shooting. Like on the GH3 and GH4, there's one physical knob for modes and one for burst/self-timer settings. There's also a single control dial on the back of the camera that clicks in to change between individual settings (like aperture or shutter) and simple exposure compensation. Add in an perfectly placed Q. Menu button and you can alter just about any function you want on the fly. The only control element that felt missing was a touchscreen, which we most frequently use for setting the autofocus area. Thankfully, the five custom function buttons pick up the slack, and there's more than enough control for shooters of all levels. The front of the FZ1000 is dominated by the massive cold, metal lens. It has a large, smooth-operating control ring, with a switch so you can choose between using the ring for zoom or for focusing. Like on the awesome Panasonic 42.5mm f/1.2 Nocticron lens, the lens also has a Power OIS on/off switch, for times when you don't want stabilization. Unfortunately, the front ring can be a bit squirrelly for manual focus, though the FZ1000 has both focus assist zoom and peaking to be sure you get it right. Perhaps the best hardware touch here is the OLED EVF from the GH4, which makes a very special guest appearance in the FZ1000, providing a crystal-clear picture and very little lag. It's a massive, bright, detailed finder and easily among the best we've seen on a fixed-lens camera. For times when you don't want to or can't use the rear 921k-dot LCD, the EVF is a fine alternative. The only thing that lets the FZ1000 down is its rather plasticky construction. While the metal lens barrel adds a reassuring ballast, the textured plastic body feels a bit hollow. While it's obviously a rigid, high-quality polycarbonate, it lacks the satisfying heft that the metal-bodied Sony has. It feels much better than most point-and-shoots, but compared to similarly priced DSLRs, it feels almost like a toy. While this isn't one of Panasonic's top-end Micro Four Thirds offerings, it certainly has a similar bag of tricks at its disposal. Learning from those great cameras, the FZ1000 received a quality education before leaving Panasonic's labs for the real world. It's the first Panasonic with a 1-inch sensor, which has a 20.1-megapixel count. NFC and WiFi come along for the ride, too. This camera also has the distinction of being the very first UHD-capable consumer-grade video camera for under $1,000. Considering how tepid 4K adoption rates have been so far, it's remarkable how far ahead of the curve Panasonic is here. A great sensor is useless without an equally great lens, however. It's clear that Panasonic wasn't satisfied simply invoking the Leica name when building the FZ1000's zoom lens. The 25-400mm equivalent lens is plenty fast with an f/2.8-4 range, with creamy smooth bokeh in the sample shots we've gotten so far. Adding to that is the addition of 5-axis image stabilization, which should help keep shots sharp when zoomed in on subjects from far away. Compared to the RX10's lens there are some pros and cons. You get double the zoom range with the FZ1000, but you can only shoot at f/2.8 when fully zoomed out, while the RX10 gives you f/2.8 through its entire 8x zoom range. By 200mm (equivalent), the FZ1000 tops out at f/4 while the RX10 is still shooting at f/2.8. The bokeh looks exceptional compared to the Sony, however. Panasonic figured out how to all but eliminate the "onion ring" effect in aspherical lenses with its 42.5mm f/1.2 Nocticron lens, and that's carried over to the FZ1000 as well. 16x optical zoom is a pretty great feature, especially considering the FZ1000's 1-inch sensor. The FZ1000 also does well with action, too. Thanks to Panasonic's Depth From Defocus (DFD) technology, the camera knows what out-of-focus areas should look like, and uses that information to make focusing faster. It's a tactic the GH4 also employed, to great effect. 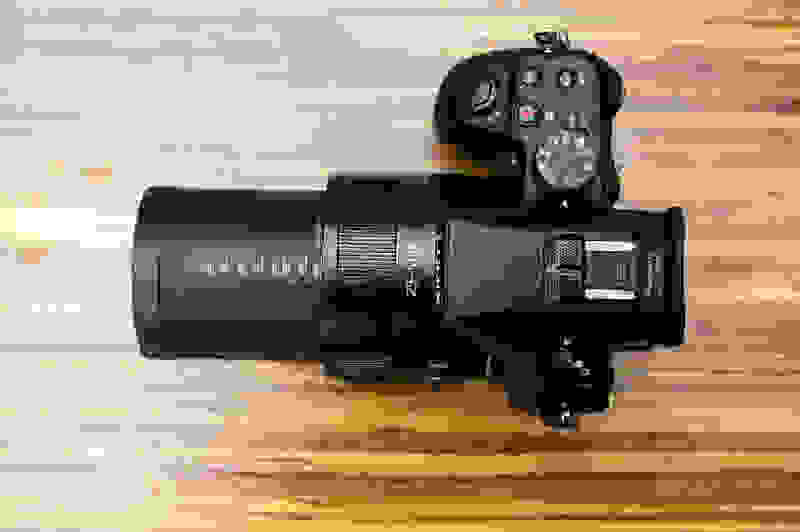 Even at full telephoto, the camera's autofocus reacts much quicker than most compact cameras, snapping to attention and locking on within fractions of a second in normal shooting conditions. This prevents the lens from accidentally heading in the wrong direction, cutting down on focus hunting. The FZ1000 isn't being positioned as a video camera for professionals, but it has far more high-end video features than we were expecting. Zebra? Check. Focus zoom with peaking? Affirmative. 100 Mbps 4K/30p capabilities? Absolutely. A mic jack and Cinelike V and D, just like with the GH4? Yup. Even if it doesn't have a headphone jack for monitoring audio, the FZ1000 seems like it sure wants to make a good impression on videographers. If you have an external audio recorder, or want to use the FZ1000 as a second camera, it could easily fill the shoes of a prosumer camcorder. Specs and features are all well and good, of course, but how does this thing actually perform? That was the question on our minds as soon as we got our hands on the FZ1000. And after running it through our gauntlet of lab tests, it's clear that the FZ1000 isn't just some pretender that looks like the GH4, but a strong performer in its own right. The FZ1000 has excellent color accuracy, solid performance through ISO 800, action-ready shot-to-shot speed, and extraordinarily sharp 4K video. The 4K video, in particular, sets the FZ1000 apart from just about every other camera in this class. In our bright light test, we measured resolution numbers of 1,000 LP/PH vertical and 1,100 LP/PH horizontal. Not too shabby, considering most of the HD-only competition tops out at around 650 LP/PH. 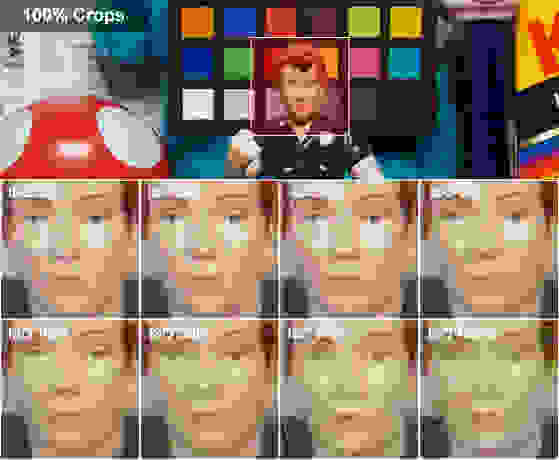 Like the GH4, the FZ1000 appears to use a 1:1 pixel relationship in order to record 4K, with the crop of the image changing noticeably when you go from 4K to HD. Though noise is kept low through ISO 3200, it's mostly due to noise reduction. And while white balance and color accuracy were predictably quite good, the fast Venus Engine processor and 4K-ready sensor readout speeds helped it in our continuous shooting test, as well. 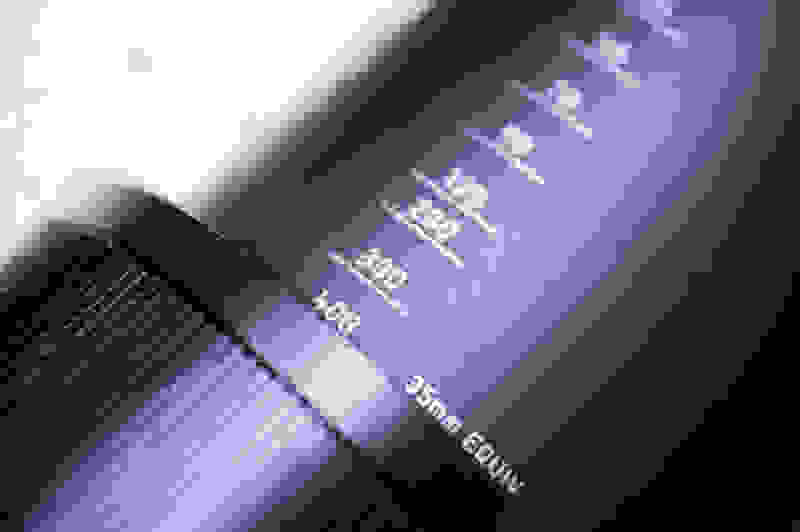 We were able to shoot a whopping 39 full-resolution JPEGs at about 10 frames per second before the buffer filled up. If that's not fast enough, Panasonic also can use its electronic shutter and a lower (5 megapixel) resolution image in SH mode to achieve image capture of over 30 fps. Finally, Panasonic also treats 4K shooting like a kind of 30 fps burst mode. When using playback mode, the FZ1000 will let you pick individual 8-megapixel frames out of a 4K/30p clip and export them as JPEGs. Panasonic didn't shy away from comparing the FZ1000 to some similarly priced peers, either. Both our own samples and what Panasonic had to show us confirmed that the FZ1000 can hold its own against just about any point-and-shoot on the market, including the RX10. We were also shown some prints comparing the Canon EOS 70D to the FZ1000, but in our experience that's a bit of a stretch in low light. The 70D provides usable images through ISO 3200 consistently, while the FZ1000 struggled as early as ISO 800, with just heavy-handed noise reduction to make up for it. You'll probably be able to get usable results through ISO 3200 with careful processing of RAW shots, but we wouldn't recommend shooting with ISO 6400 or 12800. The image simply gets too noisy, with very noticeable banding at the max ISO. For more on how the FZ1000 fared in our scientific tests, head over to our Science Page. The camera market is as competitive as it's ever been. You can get an interchangeable camera for just $500, brand new. You can pick up an older mirrorless camera—with lenses—for just $300. And even brand-new DSLRs from Canon and Nikon are starting closer to $650 than $1,000 these days. While compared to the $1,300 Sony RX10 the $900 FZ1000 feels like a bargain, it's still $900. How can Panasonic justify charging this much for a fixed-lens camera? The FZ1000 takes high technology to a new low price. 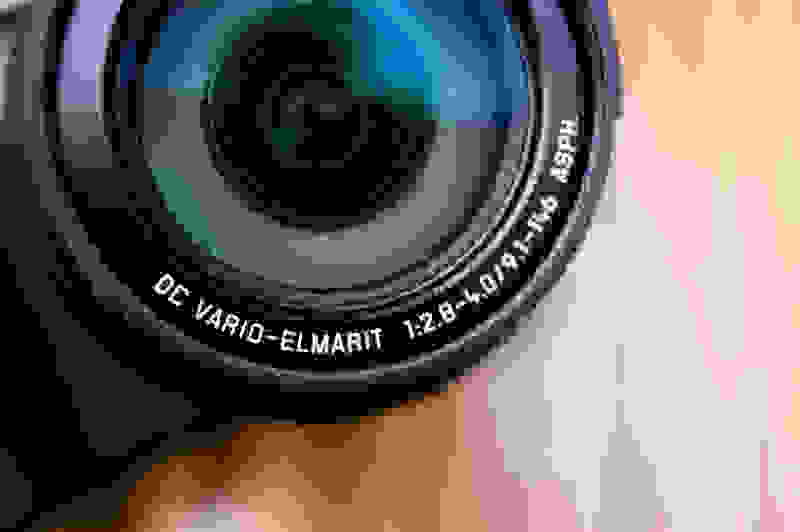 After spending nearly a week with the FZ1000 both in and out of the lab, we know the answer: Because this is one of the best fixed-lens digital cameras we've tested yet. It may be drawing heavily from Sony's RX10 blueprint, but it brings plenty of Panasonic's home cooking to the table. It borrows much of the hardware, design, and features from Panasonic's excellent GH4. It shoots at up to 10 frames per second. And the 1-inch sensor and Leica-branded lens are a close match for what the RX10 provides. The 1-inch sensor and Leica-branded lens are a close match for what the RX10 provides. Oh, and it has 4K/UHD video—and it's not some GoPro-esque 15 frames per second mode that only qualifies as video if you squint, either. It's true, 100Mbps, 4K/30p video. Yes, you probably don't even have a 4K display in your house, but with the FZ1000 you also get a great stills camera today, with superb 4K video that'll look great on your next TV (and probably the one after that, too). If we're nitpicking, it would be with the fact that the max aperture drops to f/4 by halfway through the zoom range, with f/2.8 only available wide open. And while lightweight, the camera's plastic body feels chintzy. Does the FZ1000's performance justify its $900 price tag? To a point. Though there are cameras that perform better for the money, there simply isn't a camera that offers a package this complete—including 4K video—at this price point. The question is only if you can live without the flexibility that a true system camera provides. For a customer looking for a simple, flexible, do-it-all solution who doesn't want to mess with interchangeable lenses, the FZ1000 is a superb value.